1. I've discovered that I have a mild (ok, pretty big actually) obsession with blue and white striped clothes...if anybody knows the clinical term for this, please let me know. 2. A delivery of beautifully handmade Tunisian Foutas from Febronie. 3. A visit to Polesden Lacey and the "London View Point" sign in their café which made me smile. 5. 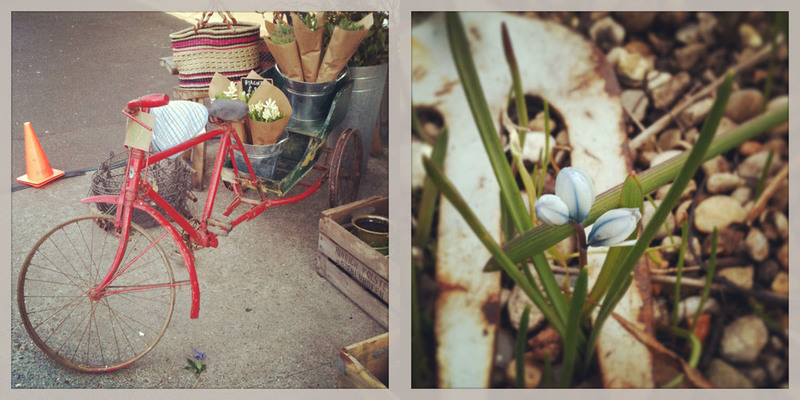 A lovely old bike outside a florist in Dulwich - the perfect way to get all those pretty flowers home...if it had tyres! 6. The first spring flowers peeking through in our rather unkempt garden. 7. 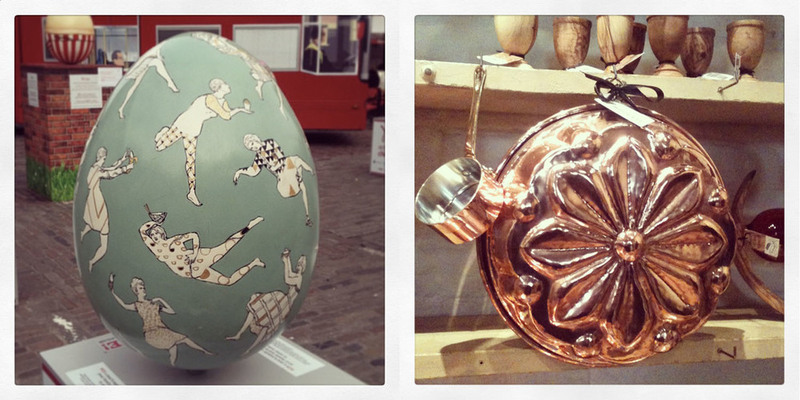 Lots of gorgeous, oversized Easter eggs in Covent Garden. 8. The copper moulds in the Hampton Court Palace shop. Ok, the palace itself was of course gorgeous too! 9. Discovering that sometimes old-fashioned writing in a notebook beats anything computerised for a feel-good factor. 10. 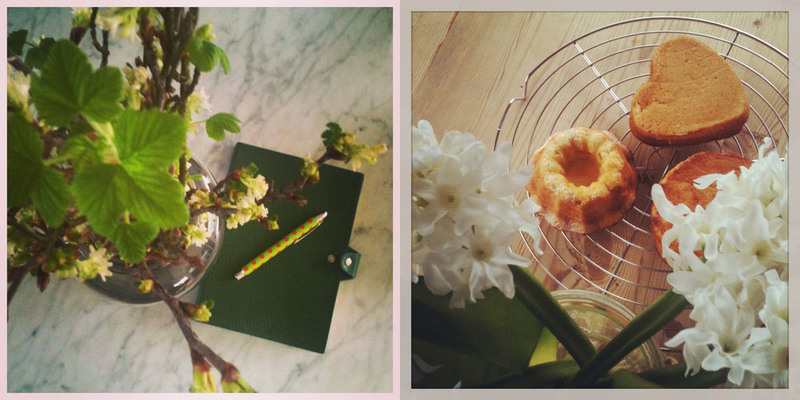 Baking miniature cakes and having some lovely flowers around.